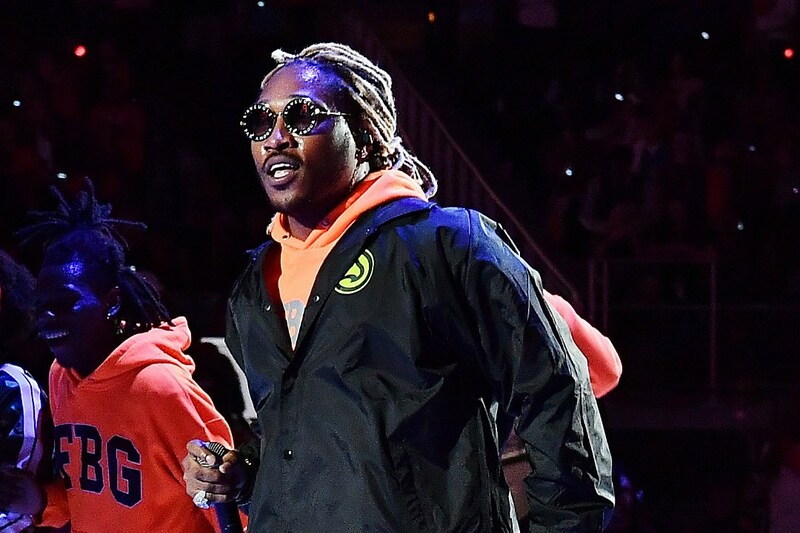 On the eve of the release of his seventh studio album, The WIZRD, Future has yet another reason to celebrate. “Crushed Up,” the rapper’s new Wheezy, Matt Cap and Ricky Racks-produced single, just made for his 77th entry on the Billboard Hot 100. The feat ties him with Taylor Swift for the most Hot 100 hits in the chart’s history, according to a report published by Billboard on Thursday (Jan. 17). Future and Taylor sit in 10th place for the accomplishment. Future first entered the chart back in April of 2011, as a guest on YC’s “Racks.” The song peaked at No. 42, but 20 of Future’s solo songs have reached the top 40, while two have even made it into the top 10—2013’s “Love Me” with Drake and Lil Wayne peaked at No. 9, while 2017’s “Mask Off” made it to No. 3. Currently, “Crushed Up” sits at No. 46. Artists ahead of Future for the most Hot 100 entries of all time include Chris Brown with 91 (thanks to his new song, “Undecided“), Kanye West with 95, Jay-Z with 99, Nicki Minaj with 102, Lil Wayne with 161 and Drake with 192. The Glee cast holds the crown with 207 Billboard Hot 100 entries, however. With WIZRD dropping on Friday (Jan. 18), the number of Future’s Hot 100 hits will likely increase soon. The project follows Beast Mode 2, his mixtape with Zaytoven that dropped in the summer of 2018 and Wrld on Drugs, his collaborative project with Juice Wrld that was released in October.